Envisioned by John Caldwell as a collection of transitional pieces, BelMar is at home in classic, Mediterranean or coastal architectural settings. Each contract-quality piece has a light, yet strong cast aluminum frame. The polyethylene diamond weave seat and back stand up to the rigors of weather and public use. The TropiKane® Diamond Weave seat and back are available in the following colors: Carob (CRB) or Kaffee (KAF). 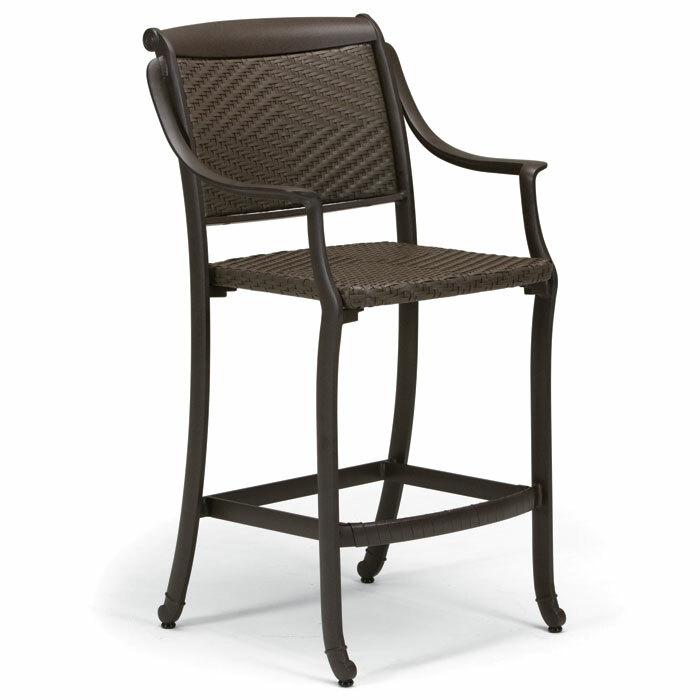 At a pool bar or hotel dining terrace, BelMar Woven Bar Stool creates a social setting fit for any style.